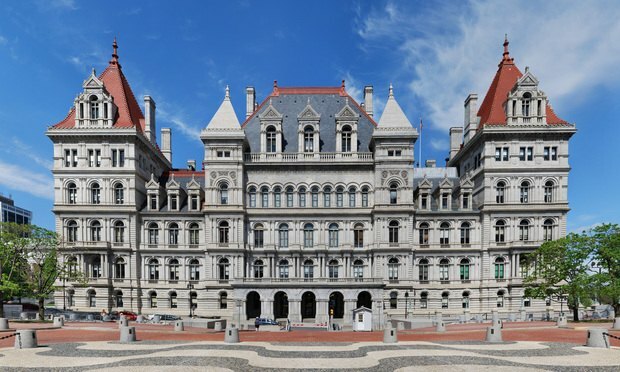 The names of those entering the Assembly's vetting process include a member of Congress, a former Brooklyn DA, members of the Assembly, and a tech entrepreneur. New York State Capitol in Albany. Editorial note: This story has been updated to reflect the final list, released by the Speaker’s office Monday, of 13 interim attorney general candidates being interviewed by the state Assembly this week. The story originally contained 16 individuals identified by the Speaker’s office on May 12. Gibson, Dunn & Crutcher partner Jose W. Fernandez; Rep. Sean Patrick Maloney, D-New York; and former Pace University law school Dean David Yassky no longer appear as candidates.